Slightly moist winds are being driven into coastal Tamil Nadu in the lower levels of the troposphere. This along with an approaching mild trough in the easterlies are likely to boost rainfall in coastal Tamil Nadu in the coming days leading to the New Year. These winds could trigger some stuffy and uncomfortable weather in coastal Tamil Nadu with day time highs reaching 30s in many places, much above normal. Chennai – Chillness will have to wait as some isolated showers are possible. A high of around 31 C is likely. Madurai – Warm day ahead with a maximum of 31 C. Cloudy weather likely along with one or two places in the district experiencing rainfall followed by a mildly cool night. Coimbatore – The city will continue facing above normal temperatures with a high of 31 C. Slight chances of rain. 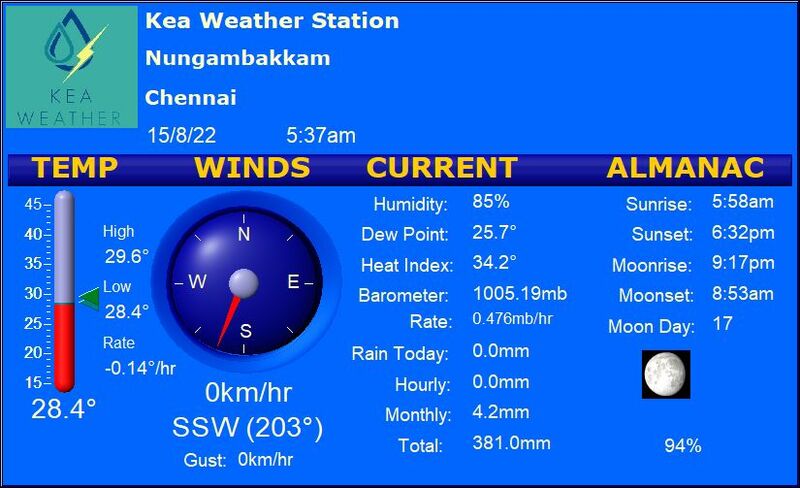 Trichy – Yet another warm day in store with a high of 31-32 C. Some showers possible near the city. Vellore – Just like other cities, Vellore too will face above normal temperatures with a high of around 31C. Some light rains possible.